If your home is located in a region that experiences all four seasons, you already know there are both joys and challenges that come with winter weather. There's the first snowfall that touches even the most despondent of hearts, and the postcard-perfect views out your living room window to enjoy with your morning coffee. Then of course there are white Christmases, the cold, crisp air that brings in the new year, building snowmen, sled-riding down snow-covered hills, and many other wonderful winter memories to be made. But what about the other side of winter? The ugly side? Those freezing cold temperatures can cause some serious damage to your home as ice and snow build up on your rooftop and in your gutters, putting a damper on all of those beautiful winter memories, and making you wish you had migrated south with the birds before the seasons changed. Today we're going to focus on what happens to your gutters in the winter, and why an ice-melt system may make sense for your home. As your know, your gutters are designed to channel the water that comes from your roof safely away from your walls and foundation, helping prevent water damage to your home. Most homeowners assume that because it's freezing in the winter and the water isn't flowing, they don't need to worry about what their gutters are doing (or not doing) this time of the year. That's a dangerous assumption to make--just ask anyone who has ever experienced the pain and expense that comes with water damage caused by ice-dams. This is exactly why we're focusing on the top-three reasons you should consider an ice-melt system for your home. A few years ago, in the middle of a cold January here in Chicago, a friend of mine noticed a small amount of water dripping through his light fixture in his bedroom. Within a few hours, those few small drips turned into a trickle, then that trickle turned into a steady flow, and then there was water everywhere. In describing the evolution of this issue to me, my friend stated it was like someone turned on a faucet in his ceiling and left it running. But what really caused this issue? An ice-dam. By the time the issue had been identified, it was too late. My friend was left with thousands of dollars in damage to his drywall, his carpet, his furniture--not to mention the expense of hiring contractors to come out and identify the issues on the exterior of his home and fix them. So what causes ice-dams? The answer is actually simple science. When you heat your home, that warm air rises (as heat always does) and escapes through your ceiling and to the roof. 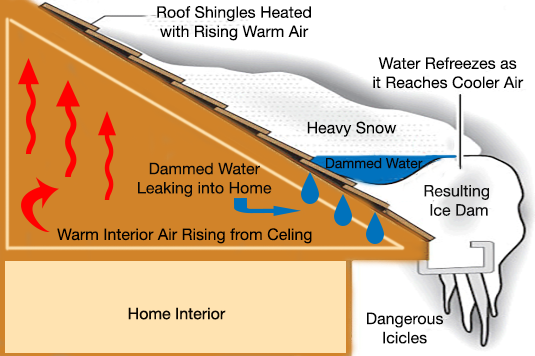 That heat causes any snow that has fallen on your roof to melt, and the water trickles down the edge of the roof where it cools once again and freezes. The water that has refrozen can create a mound of ice (like a glacier), and trap any water that has melted behind it, essentially forming a dam. The trapped water is then pushed backwards under your roof shingles, where it can then begin dripping into your home. 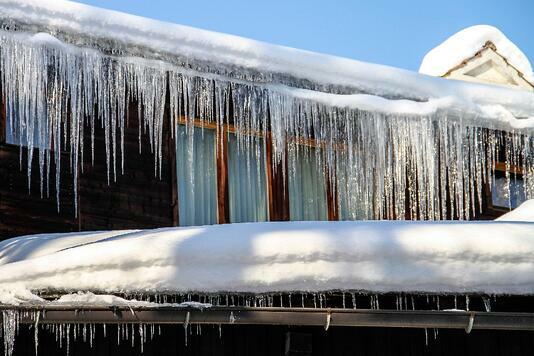 In a perfect world, the best option to prevent ice-dams would be to address the heat loss from your home by ensuring your have adequate insulation and ventilation; however, sometimes that simply isn't enough to fix the problem. For situations where these measures are not enough to stop melting and refreezing, the next-best thing is to add an ice-melt system to your gutters. Remember how I mentioned that the cold water melts away, and trickles down to the edge of your roof where it refreezes? This is where an ice-melt system comes in. Simply put, and ice-melt system heats your gutters, keeping that water from refreezing and causing mounds of ice. In many cases, this is an extremely simple and cost-effective solution that can help prevent costly water damage to your home. The second reason you should consider an ice-melt system may not seem as obvious, but once I say it you'll totally understand: ice is heavy... and heavy ice can do major damage to your gutters. 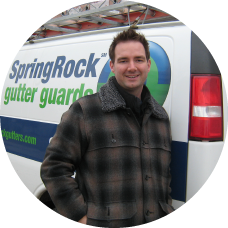 In fact, one of the most common reasons our customers call us to replace their gutters in the spring is their existing gutters were pulled loose due to the weight of ice and snow over the winter months. While some gutters are pulled completely off the house, there is potentially a worse scenario: gutters being pulled just enough to effect the pitch, keeping them from flowing and directing water properly. Why is this worse? Because from the ground your gutters look fine, but if you climb up on a ladder and examine your system a bit further, you'll see its pulled away just enough to leave low spots. Those low spots then collect debris during heavy rains, causing your gutters to overflow and potentially cause major water damage to your home. Luckily, these issues can all be prevented with the installation of a quality ice-melt system. Remember: ice is heavy. In fact, ice can weigh up to 15 pounds per foot of gutter. Now imagine that heavy ice trickling over the sides of your gutters creating heavy icicles. One of the most common concerns our customers express is those icicles forming over entries to their homes. What if those icicles fall on a visitor, the mailman, or a pet? Those fears are not unfounded. Its said that approximately 15 people in the US die from icicle-related incidents every year, and many more are injured by falling ice. Realizing your gutters are holding hundreds of pounds of dangerous ice certainly makes a case for installing an ice-melt system. Finally, an ice-melt system can help you ensure your gutters are ready for those spring rains. I've already talked about how the weight of ice in gutters can cause them to pull loose and impact how your gutters function, but what many people forget is that if their gutters are full of debris all winter long, they will not flow freely when spring arrives. 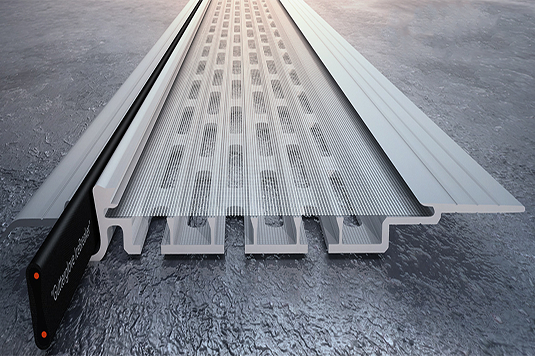 This is where a true, four-season gutter guard system comes in. Instead of just melting the ice, a heated gutter guard system will keep your gutters free of debris while it keeps those ice-dams from forming. Installing this type of system gives you all of the benefits we've already discussed, with an added bonus: maintenance-free gutters year-round. Many people clean their gutters between one (1) and three (3) times per year, and they wait until those last leaves drop in the fall before they do a final cleaning. Sometimes this method works, but more often than not, it backfires. If the snow comes before that final cleaning is done (and that does happen pretty frequently here in Chicago! ), all of that built-up debris will sit in the gutters all winter and break down into a mucky-substance. Meaning when the snow melts and the spring rain comes, your gutters are already clogged, leaving you behind the eight-ball. Why continue living that way? Your house is there to protect you from the elements, and your gutters are on the font-lines of the battle. Heated gutter guards will insure your gutters are able to do their job through every season, and could save you thousands of dollars over the years by preventing the type of water damage my friend had to deal with. So if you were wondering what your gutters do over the winter, and you're among those who assume they serve no purpose during these cold months, I hope the information I've provided has helped you better understand how they work. Remember: make sure you have the appropriate systems in place so your gutters can protect your home all year-round, rather than contributing to the damage and heartache winter brings unprepared homeowners.